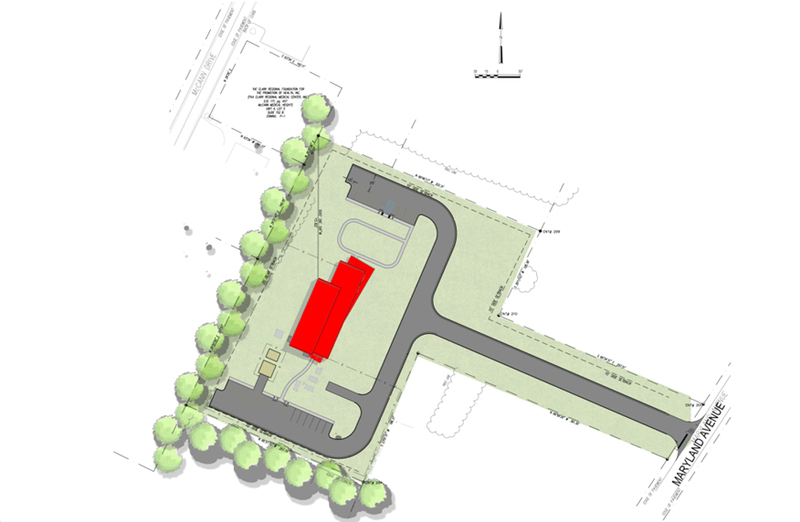 Palmer Engineering provided civil engineering services for a proposed emergency operations center in Winchester, KY. Design services included site layout; site grading for parking, driveways, and sidewalks; erosion control; and utility layout. The visitor and employee parking lots and walkways were designed to meet ADA compliance requirements. The storm water detention design included BMPs to incorporate water quantity as well as water quality requirements to meet local regulations. Water main and sanitary sewer main extension were also required the site. The design team worked with the adjacent property owner to determine an acceptable route through their property. Palmer assisted with providing community involvement through a public meeting with the property owner, adjacent property owner, and public officials. Palmer Engineering supplied the Clark County Fiscal Court with documentation that follows the National Environmental Protection Act [ 42 U.S.C. 4321 et seq.] pursuant to the Council of Environmental Quality, (CEQ) standards. Funding for this project was provided through the Federal Emergency Management Agency (FEMA). The proposed construction site, which is currently under consideration based on federal agency correspondence, followed provisions of the National Environmental Protection Agency (NEPA). A Finding of No Significant Impact is expected through this process. This documentation considered alternatives that addressed multiple environmental components: ASTM-1527-05 Standard Phase I Environmental Site Assessment, land use, air quality, noise, topography, geology, soils, biological resources, archaeological and cultural resources, socio-economics, aesthetics, visual resources, and recreational resources. This information was then provided to FEMA and the Commonwealth of Kentucky for the benefit of the City of Winchester and Clark County residents.